Paperback, 9 x 11 in. / 288 pgs / 300 color. Edited with text by Henk Ovink, Jelte Boeijenga. How will society confront climate change? Faced with rising sea levels and more powerful storms, we all know that what worked in the past will not work in the future. The climate challenge is too urgent to ignore and too big to confront with our existing methods. Too Big tells the inside story of the American federal response in the wake of Hurricane Sandy. The late 2012 storm that ravaged the New York–New Jersey region revealed the true physical and social vulnerabilities that all coastal cities face from sea level rise and extreme weather events. It underscored the need for fundamentally different approaches to create more resilient cities and coastlines. President Obama took on this challenge through an innovative, inclusive design process called Rebuild by Design: confronting established federal, state and local practices, championed by Henk Ovink, the Dutch Special Envoy for International Water Affairs who joined the American recovery effort. In this book, Ovink and Boeijenga, together with Rebuild by Design’s key partners, give a firsthand account of this process: building coalitions and creating innovative solutions by running an intense international design effort in the aftermath of a devastating storm. 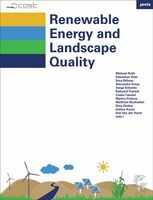 Analyzing the competition’s groundbreaking formula for bringing all stakeholders to the heart of resilience planning, Too Big presents governments and communities an approach to become more responsive, more effective and more prepared in the face of climate change. 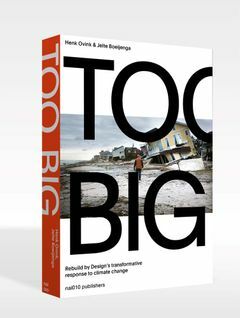 Too Big addresses the urgency of a battle we cannot afford to lose, but also shows a way forward, informing and inspiring everyone who has the ambition to change the world. 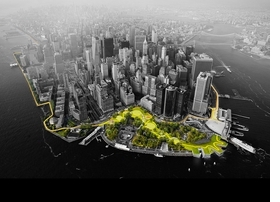 Monday, November 19 from 6:30–8PM, the National Building Museum presents the inside story of Rebuild by Design, the federal response devised to make coastal cities more resilient in the wake of Hurricane Sandy. Henk Ovink, Dutch special envoy for International Water Affairs and principal for the Obama Administration’s effort, will explain the innovative process he led, which was focused on building coalitions and running an intense international design effort. Shaun Donovon, former Secretary, U.S. Department of Housing and Urban Development and Chair Hurricane Sandy Rebuilding Task Force; Kate Orff, founder & principal of SCAPE; and Dawn Zimmer, former Mayor of Hoboken, NJ, will join Henk for a discussion of lessons learned and forward-looking solutions to be better prepared for the impact of climate change. 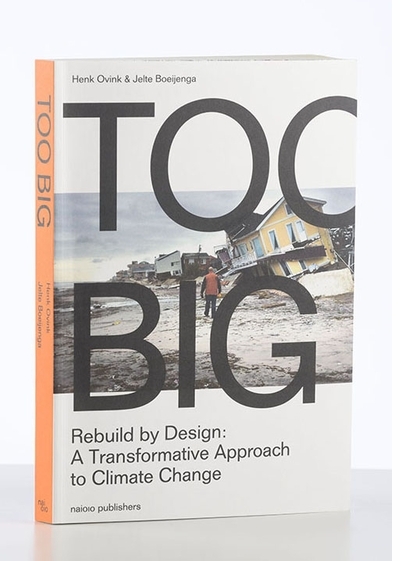 Following the talk, Ovink will sign copies of Too Big: Rebuild by Design’s Transformative Response to Climate Change, available for purchase in the Museum Shop. 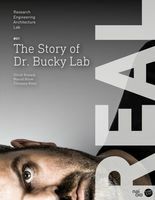 Reserve your copy when reserving your free ticket here. By Michela De Poli, Guido Incerti. 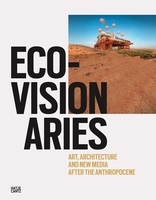 Edited by Stephen Cairns, Devisari Tunas and ETH Zürich / Singapore-ETH Centre. Design by Studio Joost Grootens. Text by Ulrich Knaack, Marcel Bilow, Tillmann Klein. 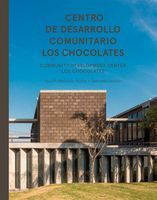 Text by Ali Malkawi, Felipe Leal, Francisco Serrano, Benjamín Romano. Text by Juan Carlos Cano, Julio Castro. 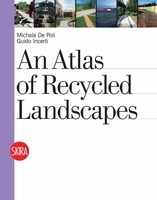 Edited by Marco Ranzato, Luisa Moretto, Ahmed Khan. Edited by Pedro Gadanho. Text by Amale Andraos, T.J. Demos, et al. Text by Eva de Klerk. FORMAT: Pbk, 9 x 11 in. / 288 pgs / 300 color.